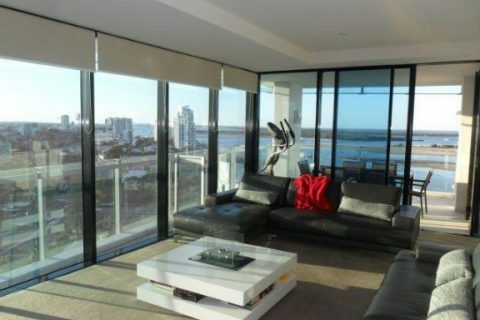 RIVAGE ROYALE is the epitome of luxury living located in Southport and enjoying absolute Riverfront position offering uninterrupted views of ocean, river, Surfers Paradise and Main Beach, even over to the Yacht Club from the balcony. 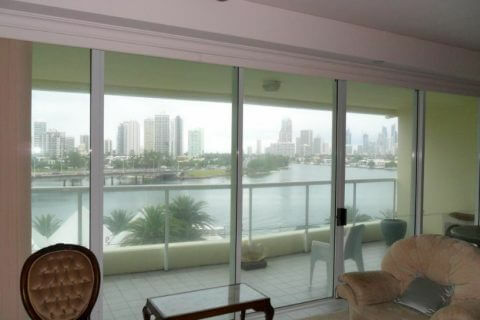 Sensational river and Main Beach and Surfers Highrise views have an immmediate impact as soon as you walk in. These views will never be comprised by future development and the location offers absolute privacy. This is an enviable address in a residential tower. 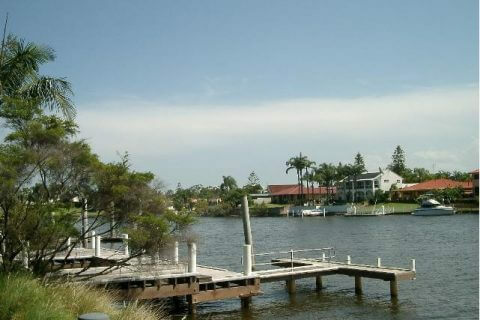 Currently it is the perfect holiday pad for the interstate owner and family. 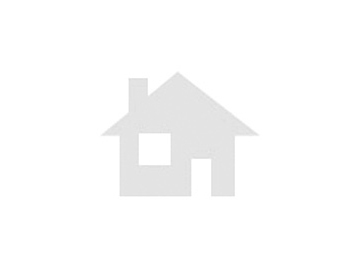 It offers the opportunity to renovate with little expense. 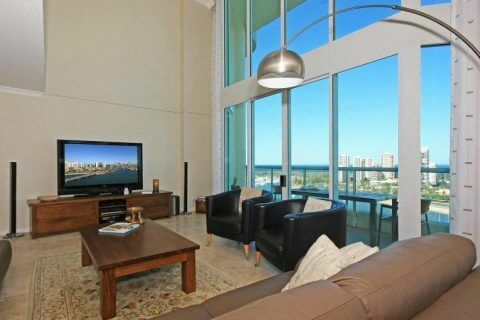 The kitchen is complemented by a massive pantry which could well accommodate a preparation area and wide granite benches for serving.
. Action packed views of Main Beach and Surfers highrise by day and magnificent fairy land by night. room. The master has a spa bath and the second ensuite also has a bath.